Lucy O’Brien, general manager and partner of FleishmanHillard Middle East, told PRWeek that although the PR firm has joined Impact BBDO, it will continue to maintain its name, identity and client roster, which includes Bosch, UBS, Agility and FedEx. "We have not merged, we are still very much ‘FleishmanHillard’," said O’Brien. The move has reportedly led to three redundancies in the finance and digital departments, and PRWeek understands one senior manager has exited FleishmanHillard as a result. The UAE and Saudi Arabia branches of FleishmanHillard are to share office spaces with Impact BBDO, O’Brien told PRWeek. 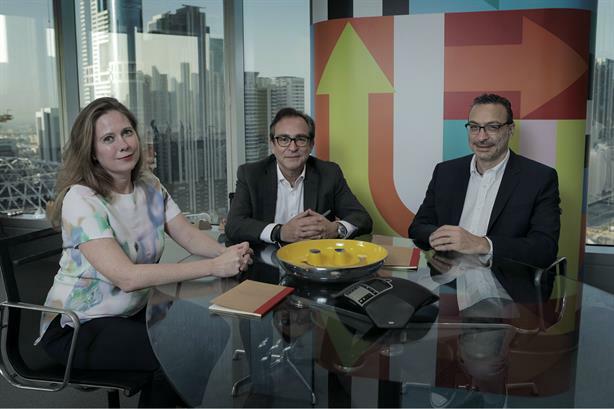 The Dubai branch of FleishmanHillard has already moved to Emirates Towers, where it will collaborate with the other Impact BBDO group companies. These include PR shop Impact Porter Novelli as well as Impact Proximity, Impact Plus and Impact BBDO. The combined comms arm of Impact BBDO – comprising FleishmanHillard and Impact Porter Novelli – will number more than 50 people. O’Brien said: "Our team is thrilled by the move and the potential it brings us to build the FleishmanHillard brand in the Middle East and Africa, as well as the benefits of giving our clients access to integrated creative services under one roof. Combined we have a deep client roster spanning a multitude of sectors and disciplines, and FleishmanHillard’s clients will only gain from a strengthened Middle East offering." The move, she said, will "only serve to expand" FleishmanHillard’s Middle Eastern operations and regional presence, and the ‘folding’ of the company will see FleishmanHillard and Impact BBDO "mutually benefit" from each other's expertise. A spokesperson said that the move will provide "natural synergies and collaboration between the FleishmanHillard Middle East and the Impact Porter Novelli teams". The move echoes the situation in London, where most Omnicom agencies moved to the Bankside 2 and Bankside 3 offices in Southwark in 2015. Jim Donaldson, CEO of FleishmanHillard Fishburn in the UK, also overseas the Middle Eastern business. The spokesperson said: "As with the similar moves undertaken by Omnicom Public Relations Group in other markets around the world, which have proven to be very successful, the individual brands will continue to exist but the economies of scale of combining resources will ensure both a continued high-quality service for existing clients while simultaneously providing access to more resources and services across the region."